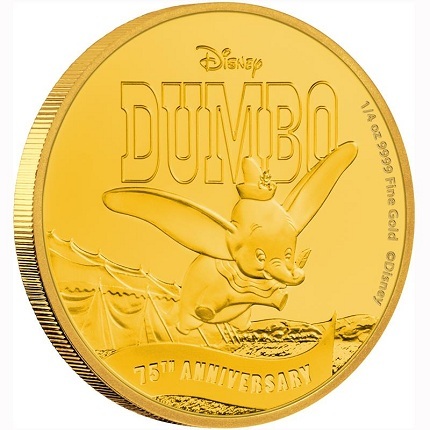 The New Zealand Mint has released new gold and silver coins marking the anniversary of the classic animated Disney film, Dumbo, first released in 1941. The coins share a common design and are struck to Proof quality. The obverse features an image of Dumbo the elephant flying with Timothy the mouse in his hat. A circus tent and hilly landscape occupy the background and DISNEY, DUMBO, 75th ANNIVERSARY, and the metal composition are inscribed in the field and along the rim. The silver coin is composed of 1 troy ounce of 99.9% silver, measures 40.60 mm in diameter, 4 mm thick, and has a mintage limited to 10,000 pieces. It can be purchased for $102.27 AUD ($78.73). The gold issue is composed of 1/4 oz. of 99.9% gold, measures 22 mm in diameter, and has a mintage limit of 1,000 coins. It is is available for $795.45 AUD ($612.36 USD). 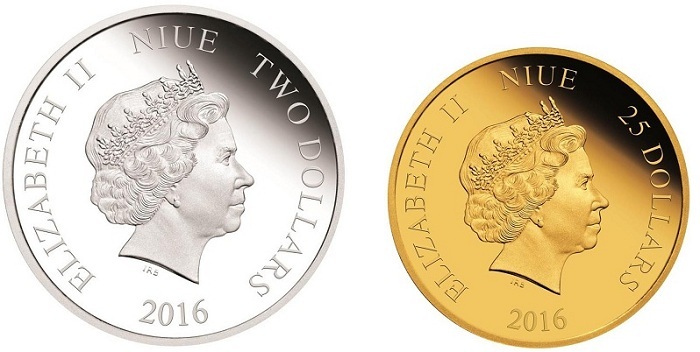 The obverse of both coins features Ian Rank-Broadley’s portrait of Queen Elizabeth II, with ELIZABETH II, 2016, NIUE, the country of issue, and the monetary denomination inscribed along the rim. Both coins come packaged in a wooden presentation box and are accompanied by a certificate of authenticity. For more information on the the 2016 75th Anniversary of Dumbo gold and silver coins, please visit the Web site of the Perth Mint, which is acting as a distributor for these issues. 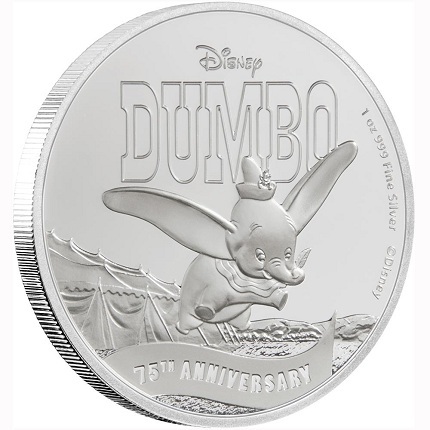 Correction, 4/18/16: This article originally stated that the Dumbo 75th anniversary coins were issued by the Perth Mint. These issues are a product of the New Zealand Mint, though they can also be purchased through the Perth Mint.